This is the official website of Whittaker Chambers. Whittaker Chambers (1901-1961) was an American writer and editor. Born in Philadelphia, he grew up in Lynbrook, Long Island, and studied at Columbia. In 1925, he joined the Workers Party of America (a legal cover for the Communist Party) and worked as an editor at the Daily Worker newspaper and New Masses magazine (1926-1932). In 1932, he joined the Soviet underground as an agent, eventually running a spy ring in Washington, DC. After defecting in 1938, he joined TIME magazine, where he rose to senior editor (1939-1948). 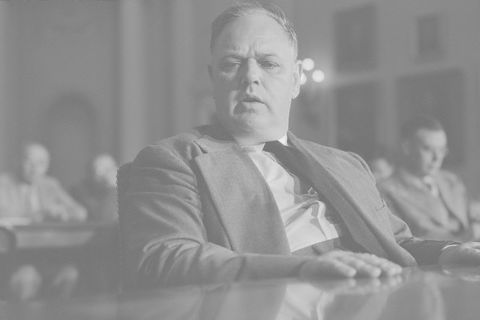 In 1948, Chambers appeared under subpoena before the House Un-American Activities Committee (HUAC) as a Federal witness in what became the Hiss Case (1948-1950). He worked briefly for the nascent National Review. He died two years later on his Westminster, Maryland, farm before publishing more. Chambers’s memoir Witness (1952) became a best-seller. During the 1920s and 1930s, he translated more than a dozen books from German and French (including Bambi, 1928). There are two unauthorized books of his private letters (Odyssey of a Friend, Notes from the Underground). His wife published a second memoir, Cold Friday (1964) posthumously. The Hiss Case launched the career of a young Richard Nixon, while Chambers himself has become an icon among Conservative adherents due largely to the efforts of William F. Buckley, Jr. Chambers received the Presidential Medal of Freedom posthumously in 1984, and his farm went on the National Historic Register in 1988. My husband and I are both nearly finished reading Witness. I feel like the teenage Jewish kid who tried rather pitifully to express his gratitude and respect for your grandfather. It’s impossible to describe how deeply moving and informative I find the book. I am right now avoiding finishing the last 50 or so pages because I don’t want it to end and because my affection for Whittaker Chambers is so great. Silly, but true. In the depths of the Hiss Case, in grief, weakness and despair, the words that Luce had repeated to me came back to strengthen me.